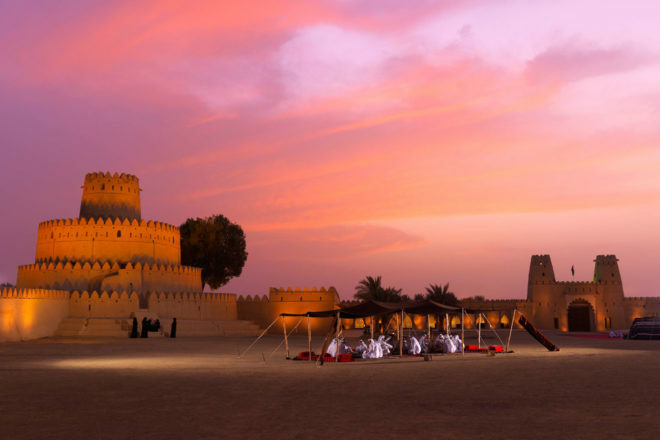 Al Jahili Fort at sunset. Camels in the Abu Dhabi desert. Local children in traditional dress. Travellers soaking up Abu Dhabi's striking beaches. Cosmopolitan and cultured, exotic and adventurous, Abu Dhabi has emerged as one of the world’s most exciting tourism destinations. Whether you’re looking for a cultural experience, adrenaline-induced adventure or a taste of indulgent luxury – Abu Dhabi has it all and, as you’ll soon find out, this destination is more than just a stopover. The largest of the seven emirates that comprise the UAE, Abu Dhabi is a destination as intriguing as it is diverse. A combination of both ancient and modern, you can experience ancient desert oases and luxury resorts to extensive coastline and picturesque harbours and islands. Take in views of the sparkling Arabian Gulf, visit traditional souks and seek a touch of old-world culture. 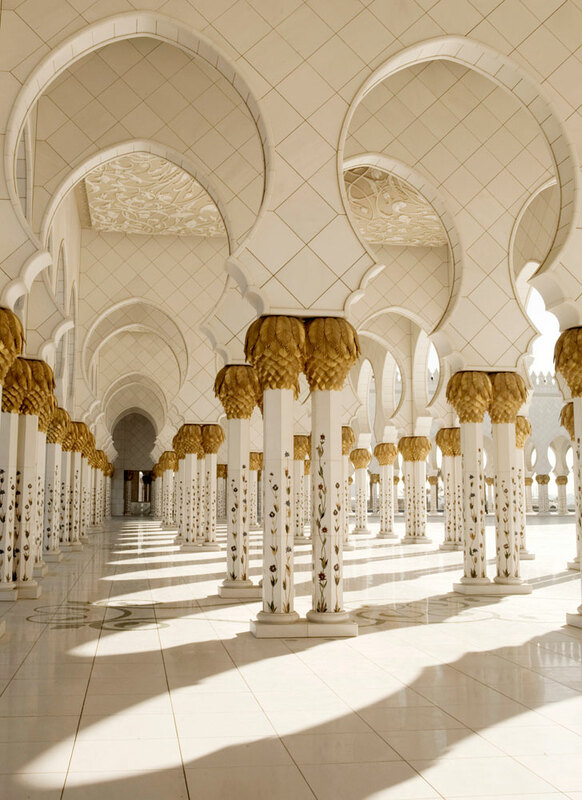 But to really experience the flourishing destination of Abu Dhabi and its rich culture, take a trip to the iconic Sheikh Zayed Grand Mosque, one of the world’s largest, and explore traditional fish, carpet and gold souks. Visit Corniche and stop at its charming Heritage Village to tour a traditional Bedouin desert encampment. If you’re after a taste of adventure, Ferrari World Abu Dhabi on Yas Island is a must. The world’s first Ferrari theme park and home to the world’s fastest rollercoaster, you can take a 300 kilometres/hour passenger ride in a genuine Formula 1 car at Yas Marina Circuit – home to November’s F1 Etihad Airways Abu Dhabi Grand Prix (the final race of the season). The adrenaline experience continues at Liwa Desert’s rolling dunes with an exciting 4WD ‘Dune Bashing’ trip. 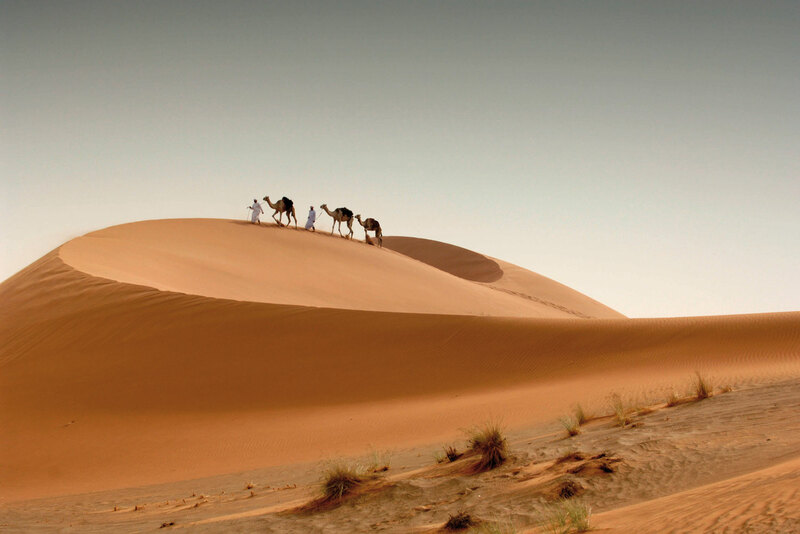 To escape the hustle and bustle of Abu Dhabi city, spend the night under the stars at the Al Badeyah desert camp. Nestled in the desert dunes of Al Khaznah, you can experience true Emirati hospitality and customs in an authentic Arabian experience topped off with shisha under the stars. If you’re seeking luxury, Abu Dhabi offers a haven of indulging spas where you can experience the ultimate journey to wellbeing, relaxation and rejuvenation, with an endless array of premium pampering experiences. Finish your spa day with a touch of shopping at one of the many high-end shopping malls. Start your trip with a tour of Abu Dhabi city. It’s the perfect way to get your bearings and take in the capital’s key landmarks, including the breathtaking Sheikh Zayed Grand Mosque, lively date souk and the Abu Dhabi Falcon Hospital. After grabbing some lunch, join locals at lively Corniche. Cool off in the clean waters at Corniche Beach or rent bikes for a ride along the waterfront promenade. Take a stroll around the world-renowned Emirates Palace – one of the world’s most opulent hotels set on a private beach. It is also the perfect setting for a drink, an aperitif or light meal, so treat yourself to High Tea at Le Café and enjoy gold drizzled chocolates and tantalising teas. Pre-oil, Abu Dhabi city was just a small pearl fishing village. To go back in time, climb aboard Jalboot – a traditional pearling dhow – and set off on a leisurely cruise along the channel between the capital and Hudairi Yat islands. Seated on traditional Arabian floor cushions, listen to an Emirati guide explain the valuable pearl trade while you sip on locally-made Arabic coffee and indulge on dates. If you’re lucky enough to find an oyster with a pearl inside, you’re welcome to keep your treasure! After lunch, step back into the present with a visit to Ferrari World or take the short trip out to Saadiyat Island. Marvel at the development paving the way for Abu Dhabi’s transformation into a cultural powerhouse, with the Louvre museum set to open in 2015. Al Ain, known as the ‘Oasis city’, is only a two-hour drive from Abu Dhabi city. Once a vital green oasis on the caravan route from the UAE to Oman, Al Ain (meaning ‘The Spring’) is the emirate’s heritage heartland, one of the world’s oldest continually inhabited settlements, and a UNESCO World Heritage Site. Be sure to visit the Al Ain National Museum, Palace Museum and Al Jahili Fort. And for an authentic market experience don’t forget to join the locals and visit the camel souk, one of the few remaining in the country, where you can barter for these national treasures.